Olubunmi’s background is in organisational change with specialism in change management, leadership development, cultural & behavioural change. As a management consultant, she worked with organisations such as Oracle Consulting, Atos KPMG, Cable & Wireless, and Kellogg’s. In the public sector, her experience covers local government, central government, the NHS, and NDPBs. Passionate about public sector improvement, Olubunmi’s work is increasingly concerned with public leadership (political, managerial, and civic); and with enabling improvement and innovation in public service organisations. She is the author of Leading Change, (Wiley). 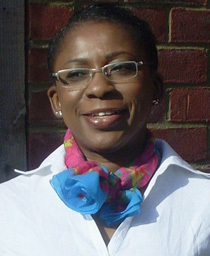 Olubunmi is the CEO & President of The Kyberman Foundation. This is an independent and non-partisan organisation with a legacy of commitment to Africa on the frontlines of leadership and local governance to make lasting socio-economic changes.